I’ve included this article for sake of completeness as it talks about how this kind of imagery fitted in with that provided by aircraft and satellites. 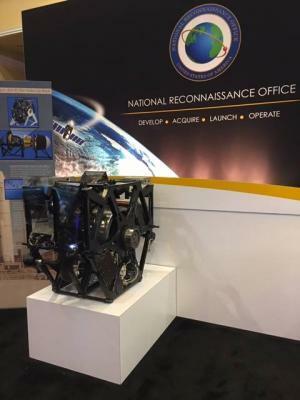 High-resolution photoreconnaissance satellites became operational several years later. GAMBIT-1, launched 38 times from 1963-1967, eventually achieved a best resolution of two feet. The follow-on GAMBIT-3 flew 54 missions from 1966-1984. Its maximum resolution remains classified, except for the fact that it was initially greater than two feet and apparently improved to better than one foot. 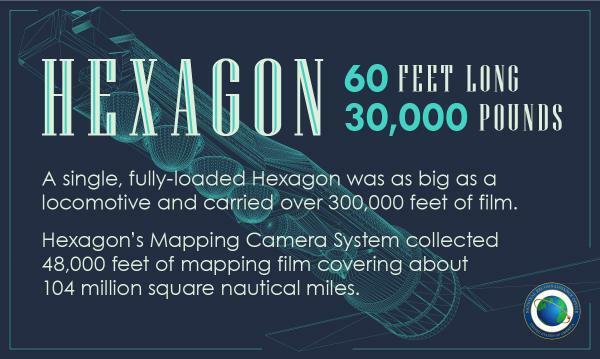 HEXAGON, which flew 19 missions from 1971-1984, had a best resolution of two feet. The resolution obtained by KENNEN, the first digital return system initially launched in 1976, remains classified. 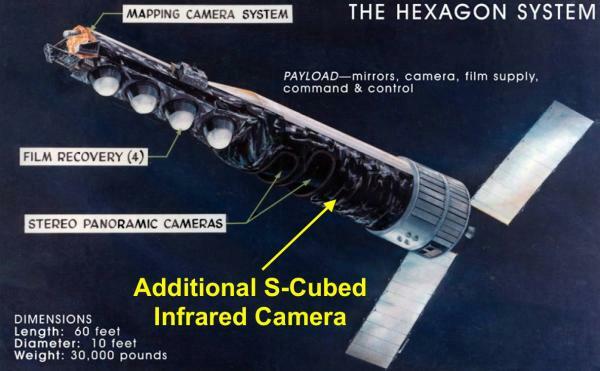 Although the high-resolution imagery from the U-2 and satellites satisfied many technical intelligence requirements, it rarely captured certain critical targets. These included intercontinental ballistic missiles (ICBMs) and shorter-range surface-to-surface ballistic missiles. Even before their deployment in silos beginning in the mid-1960s, these vehicles were stored in buildings at their launch complexes. Submarines carried their ballistic missiles (SLBMs) in tubes and their cruise missiles in protective housings. Silos housed anti-ballistic missiles (ABMs). The U-2 and, later, satellites, frequently photographed aircraft on runways and aprons. However, they could not capture the underside, engine inlets, and certain other important features. Similarly, these overhead platforms were limited in some respects in photographing armor, artillery, mobile radars, and other ground force equipment. Excellent and informative article. Thanks. I see KENNEN gets plenty of mentions but I suppose the declassification of the early days of that program is still somewhere in the government labyrinth. Can't remember my source (Blackstar? ), but I've a note that there were a couple more classified payloads on Hexagon 20 called Onyx and LORRI 2. Do you mean attached payloads or sub-satellites? 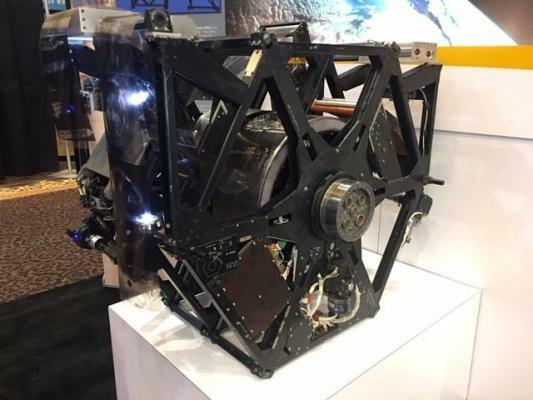 This year, as part of our booth activities at the 35th #SpaceSymposium, we've brought along the Hexagon (KH-9) film take-up reel. The reel seen here is just one example of the technological innovation carried out over 57 months in the late 1960s by thousands of scientists, engineers, technicians, and administrators from across government and industry to create a new and revolutionary intelligence collection system that would usher in a new age of satellite photoreconnaissance. 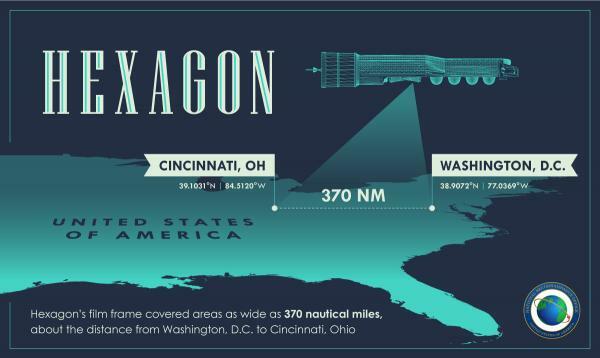 "We didn't get to this point by accident; it was achieved through perseverance, technical competence and a lot of hard work," said the Honorable Edward C. Aldridge, undersecretary of the U.S. Air Force and director of the National Reconnaissance Office, about the Hexagon program on July 12, 1983. They have some artifacts that are not on display. Small things like this. I know of a couple of others that are intriguing (well, to me, anyway), and I will probably be writing about them in the future.